George Havakis, leader of the A-Spec asset standards group, speaking in Wellington. Twenty nine Victorian and 20 West Australian government agencies have joined a Melbourne-based consortium developing specifications and standards to help efficiently manage public infrastructure systems. The A-Spec ‘digital data specifications’ program has launched templates for maintenance of roads (r-spec), stormwater drainage (d-spec), open spaces (o-spec), buildings (b-spec), telecommunications (t-spec), sewerage (s-spec) and water (w-spec) – with more systems planned. A-Spec’s founder/director, Mr George Havakis, said its services support interoperability across different GIS technologies and processes in local government and infrastructure authorities throughout Australia, and including New Zealand’s Wellington City Council. ‘The advantages of A-Spec are that it will reduce maintenance costs by improving process efficiencies, eliminate duplications of effort and provide a consistent system for recording and auditing public infrastructure assets,’ Havakis said. His company, GISSA International (formerly Workforce Solutions), is developing and promoting its specifications suite with support from the Spatial Industries Business Association (SIBA) and in general alignment with Esri, MapInfo and other GIS and asset information software companies and systems. However, its main goal is to develop consistent processes that could be agnostic to changes and evolutions of software, he said. ‘Our focus is on developing useful data standards that meet the local requirements of asset owners and managers – especially local governments and growth area authorities in Australia and New Zealand. We see the importance of collecting data at the source. We don’t sell software, we encourage the vendors to work with us because often their systems are already being used by asset managers. We’ve set up a collaboration model, with an advisory council of key users and stakeholders. We are not preaching to the industry; we are building up business processes based on the needs of the users. We have a governance model. 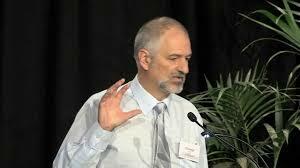 Note: George Havakis has agreed to contribute occasional columns to virtualanz.net on advances and standards issues encountered by the A-Spec consortium. His recent talk to the New Zealand Road Asset and Information Management Forum is here.